Along with the rise in adult obesity there has been a significant increase of obesity in children during the past several decades in the US. Recent studies have investigated several factors that may impact a child’s risk of becoming overweight or obese. This article provides a brief overview of the factors that are associated with this risk. Pregnant women who take in more than the ideal amount of calories during pregnancy provide excess calories to the fetus as well. It’s important to counsel pregnant women on healthy weight gain goals and caloric intake for their body size and weight. Women who start pregnancy overweight or obese also increase their risk of having children who develop weight issues during early childhood. It’s still unclear what the mechanisms cause this association, but both environmental and genetic factors seem to play a role. Targeting women at risk pre-pregnancy and early pregnancy and providing diet and exercise education and support for them can lead to healthier pregnancies and reduce weight gains that exceed recommendations. Pregnant women who smoke may increase the risk of their offspring becoming overweight or obese during adolescence and adulthood. Women who quit smoking during the first trimester reduce the risk to her offspring to that of non-smoking pregnant women. The importance of promoting smoking cessation not only for the maternal health but for the future health of her baby can help motivate women to quit. In addition to the danger of maternal smoking, some research has found that paternal smoking also causes an increased risk of obesity, even if the pregnant mother does not smoke. Smoking cessation programs should be provided to any family members that smoke when there is a pregnant woman in the household. Pregnant women who exercise throughout their pregnancy have babies that are less fat, (but not underweight) and some longitudinal studies on the effect of prenatal exercise on offspring suggest children of mothers who exercised were less fat in childhood than those of non-exercising mothers. More studies are needed to determine whether there are genetic influences influencing these results, or they are due to exercising women also eating a healthier diet, gaining less weight during their pregnancy, and including their children in exercise activities. Gestational diabetes is on the rise in the pregnant population and women who are overweight or obese have a greater risk of GD during pregnancy. Women with a BMI of> 30 kg have a 2-3 fold higher incidence of not only GD, but also other serious conditions such as hypertension and preeclampsia. In addition, women with GD have a higher risk of cesarean section and other birth complication, in part because this condition leads to fetal macrosomia (large for gestational age). There is some discussion about the affect that GD has on the metabolic functioning of children born to women with GD, and the possibility of increased risk of impaired glucose metabolism. 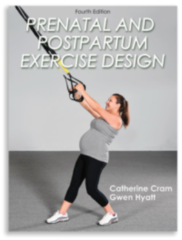 The role of health and fitness professionals in providing pregnant and postpartum women with positive lifestyle counseling is an important component in reducing the incidence of childhood obesity. Offering pregnant women nutritional guidelines that improve her diet and the health of her child, and support to help implement fitness into their lifestyle is key. We can impact the current trend of increasing obesity in children by intervening during pregnancy with nutritional counseling, exercise training and consistent follow up. 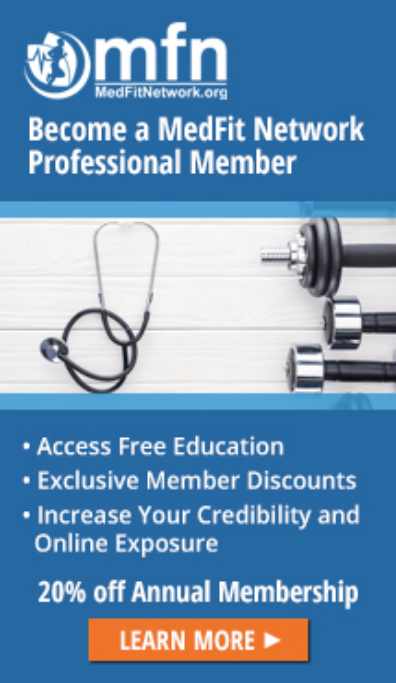 Our certificate course provides continuing education credits for ACSM, ACE, ICEA and LAMAZE, as well as other major health and fitness organizations, and is a Lifetime Fitness Approved Specialty course.